The success of all furniture installations, moves, reconfiguration, and office relocations depends on a hands-on approach to furniture asset management. Our team employs a dedicated team of installers, project managers, designers, and logistics specialists who all play key roles in successfully managing your company’s office furnishings, accessories, and equipment. Our furniture asset management team at FRI starts each project with the end in mind. This means that from disassembly to storage we are constantly looking for ways to make the next phase of your project as smooth of a transition as possible. This means that instead of just storing your product we take the time to stage it in a way that will speed up the delivery and installation of your project. To help manage your furniture assets, Facilities Resource, Inc. will perform an on-site inventory audit. We will re-deploy existing furniture to new projects and will assist in disposal of outdated or unusable product. When storage space is limited, off-site secure warehousing is available. FRI will perform a detailed inventory of existing furniture, assessing the function, size, finish and condition of various pieces and determining whether they are suitable for re-use, sale or disposal, creating the optimal strategy for the client. We offer warehouse services to clients who are relocating with new or existing furniture. 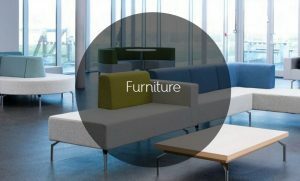 Our teams have in-depth knowledge and experience with Steelcase, Herman Miller, Haworth, Knoll, Teknion, Kimball, AIS and Trendway office furniture.